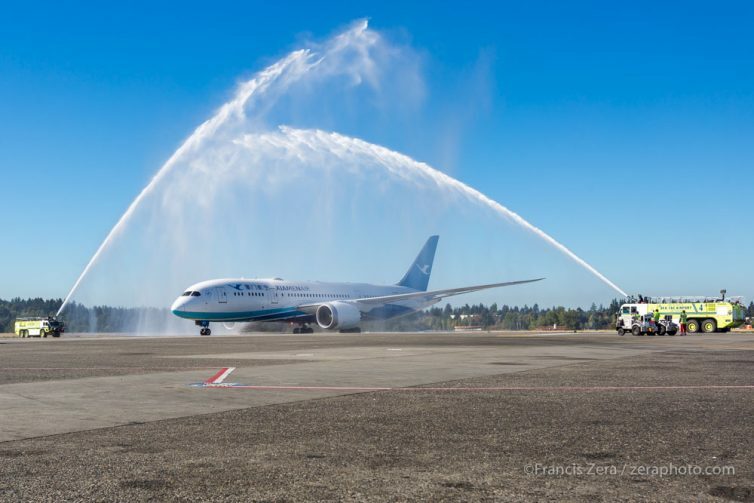 While engineering of the composite airframe of the 787 has been a challenge, it’s a decision that allowed Boeing to make a major change to its aircraft that could greatly reduce the effect of jet lag on its passengers. “The 787 Dreamliner has a composite fuselage and that allowed us to pressurize it at whatever altitude we wanted because the material is not susceptible to fatigue”, Blake Emery, Director of Differentiation Strategy for Boeing Commercial Airplanes, told Business Insider in an interview. Currently, most airliners have cabin air pressure equivalent to that of an altitude of 8,000 feet, Boeing cut that down to 6,000 feet. At 6,000 feet, the cabin air is more dense and has a greater level of oxygen saturation. As a result the body does not have to work as hard to oxygenate blood and sustain itself. According to Emery, since there isn’t a perfect one-to-one correlation between altitude and jet lag, Boeing has taken the additional measures to mitigate the symptoms. These measures include an increase in cabin humidity as well as a new air-filtration system. The 787 will not be the only Boeing jet to have a lower cabin altitude. The upcoming 777X mini-jumbo jet will also be pressurized at 6,000 feet, although it is primarily made of aluminum. 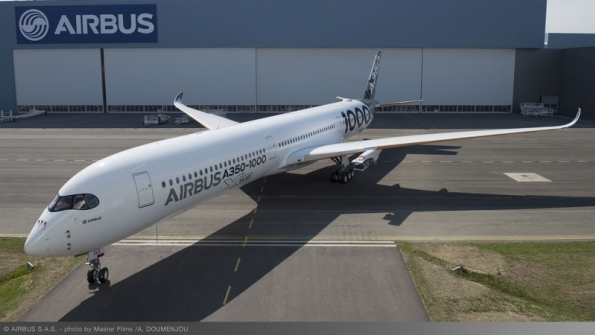 The second Airbus A350-1000 flight test aircraft – the first to be equipped with full passenger cabin – was displayed September 23rd in a new carbon fiber-themed livery outside the manufacturer’s paint shop in Toulouse, France. 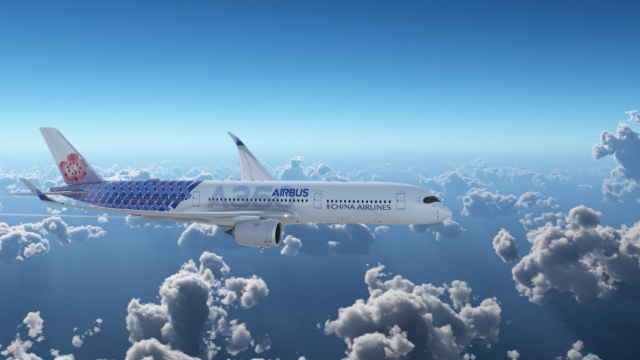 According to Airbus, the livery is inspired by the advanced composites technology incorporated in over 50% of the A350 XWB airframe. 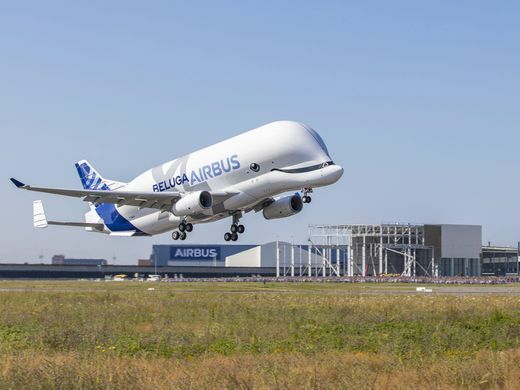 As part of the aircraft’s certification campaign, Airbus will perform cabin and air systems tests on the test -1000 version. Early long flights and route proving evaluations will get underway in 2017, Airbus said. The A350-1000 has the longest fuselage (243 feet) of Airbus’ A350 XWB family and seats 366 passengers. (This aircraft will compete with the 777-9X, which is 250 feet long and will carry 400 passengers). 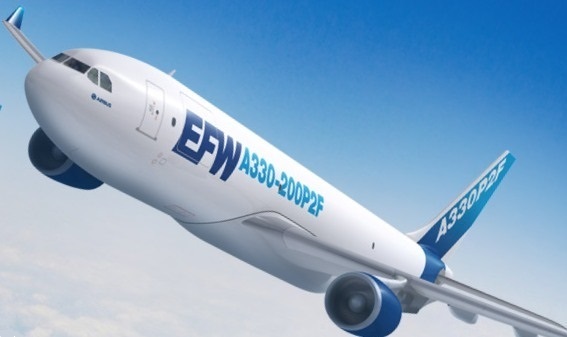 As of August 30th, 195 A350-1000 aircraft are on order; customers include Gaudeloupe-based Air Caraibes, (three on order),Los Angeles-based Air Lease Corp., (nine on order), South Korea-based Asiana Airlines (10), British Airways (18), Japan Airlines (13), Hong Kong-based Cathay Pacific Air (26), Abu Dhabi-based Etihad Airways(22), Chile-based LATAM Airline Group (14),launch customer Qatar Airways(37), Chicago-based United Airlines (35) and UK-based Virgin Atlantic (eight). Source : ATW/Airbus/Ed’s comments on passenger count and length. 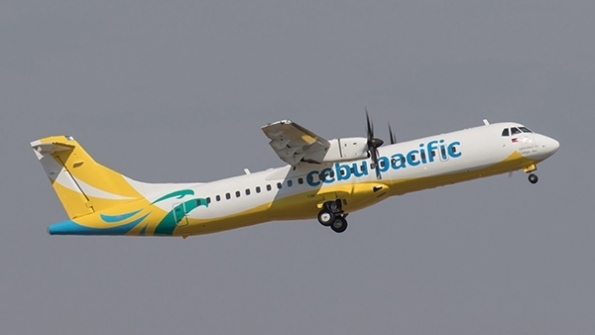 Philippine low-cost carrier, (LCC) Cebu Pacific Air, has taken delivery of the first ATR 72-600 High Capacity aircraft. 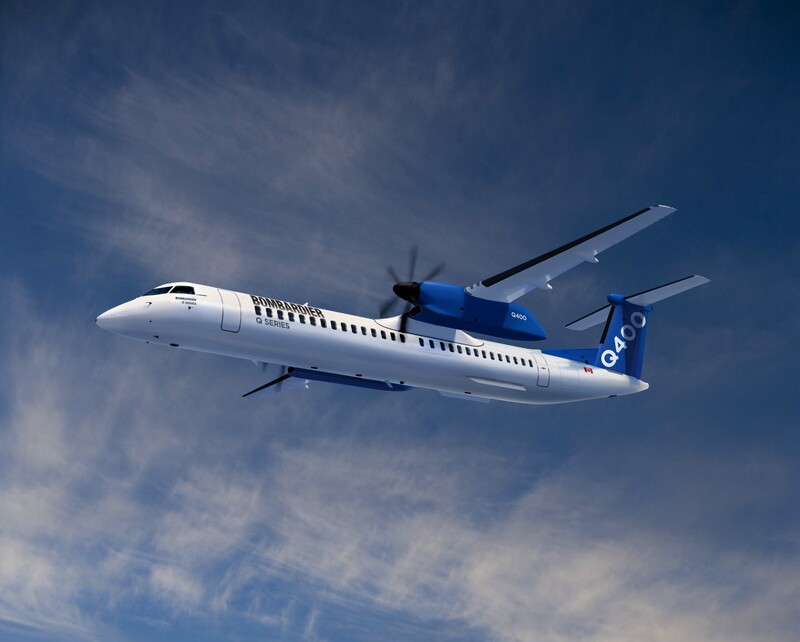 Configured with 78 seats, this new ATR 72 option has 10 additional seats compared to the standard 68-seat configuration of the aircraft. Cebu Pacific will progressively replace its current fleet of eight 72-seat ATR 72-500s with a fleet of 16 new 78-seat ATR 72-600s. 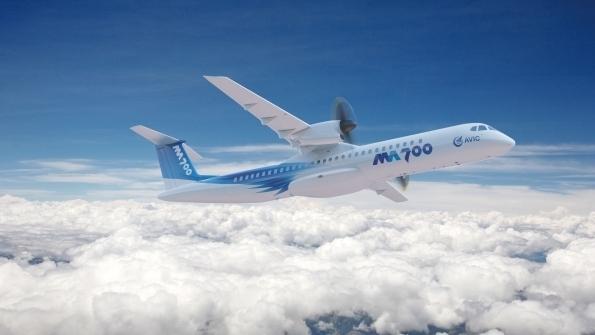 In June 2015,the LCC ordered 16 ATR 72-600 plus 10 options, which will be operated by Cebgo, it’s wholly owned subsidiary. Deliveries will run until 2020. Dassault Falcon 8X Makes its Debut at the Latin American Business Aviation Convention and Exhibition (LABACE) in Sao Paulo, Brazil. 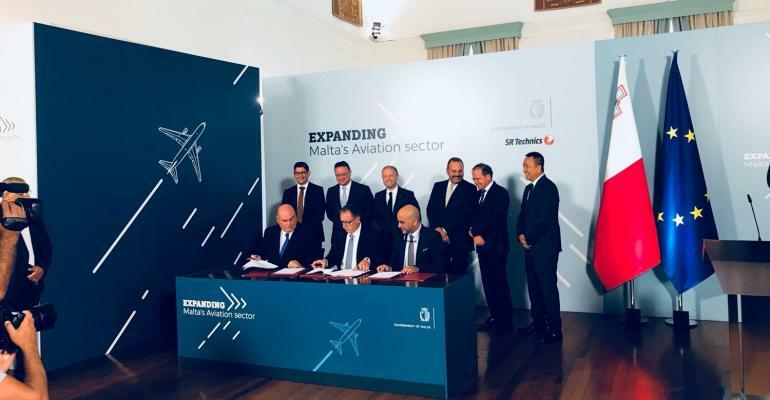 Falcon 8X makes its debut at (LABACE) as it seeks to drum up sales for the long-range tri-jet ahead of its validation by Brazilian certification authority in the fourth quarter of this year. The Falcon 8X secured US and European certification in early July, and first deliveries have already started. In preparation for the 6,450nm (11,900km)-range 8X’s entry into service, Dassault has begun ramping up production at its Bordeaux Merignac final assembly plant in southwest France. As of this writing, serial number 29 is now being manufactured at the facility, and 15 aircraft are being outfitted at Dassault’s US completion center in Little Rock, Arkansas. 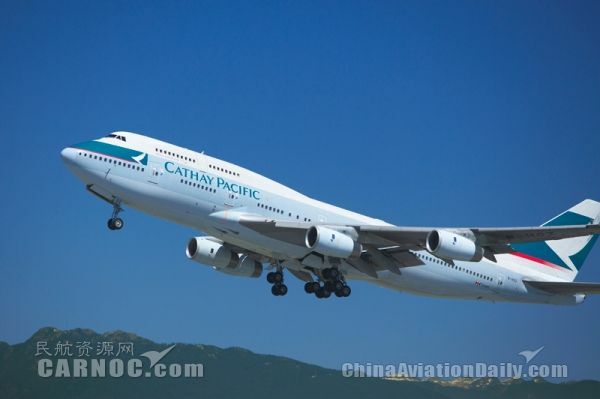 Cathay Pacific is retiring its Boeing 747 passenger fleet after 37 years. Once a ubiquitous presence at major airports around the world, the aircraft approaching this age has now become a rare sight. For aviation geeks gathered at the Hong Kong International Airport, soon they will only be able to spot the Hong Kong flag carrier’s passenger jet in a history book. The final 747 flight to Tokyo took off on the first of this month. The original 747 was vital to Cathay’s development into a major global carrier. The airline received its first jumbo jet in 1979 when it was still a small regional carrier flying to a handful of Asian destinations and Australia. It only truly became global in 1980, when it started flying to London’s Gatwick with the second 747 aircraft in its fleet. After October 1st, Cathay will continue to fly the jets in its cargo fleet, but it decided earlier not to adopt the new generation 747-8 for passengers. But for Hong Kong plane spotters, it is hard to say goodbye to the Queen of the Skies. 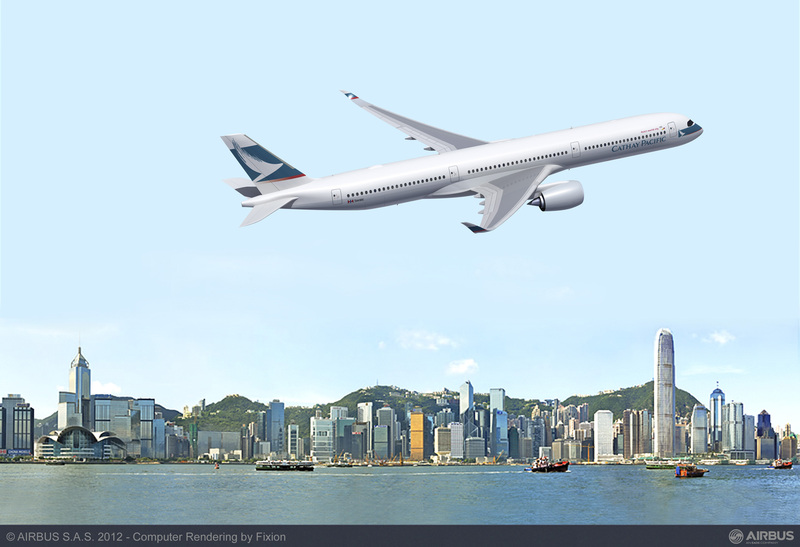 The association of Hong Kong Aviation Photographers said it is putting together a photo book to commemorate the occasion. Its member, Daryl Chapman, took an iconic photo of a Cathay 747 attempting to land at Hong Kong’s old Kai Tak Airport. Hainan Airlines will begin flying from Las Vegas on December 2nd, launching three weekly flights to Beijing on Boeing 787 Dreamliners. 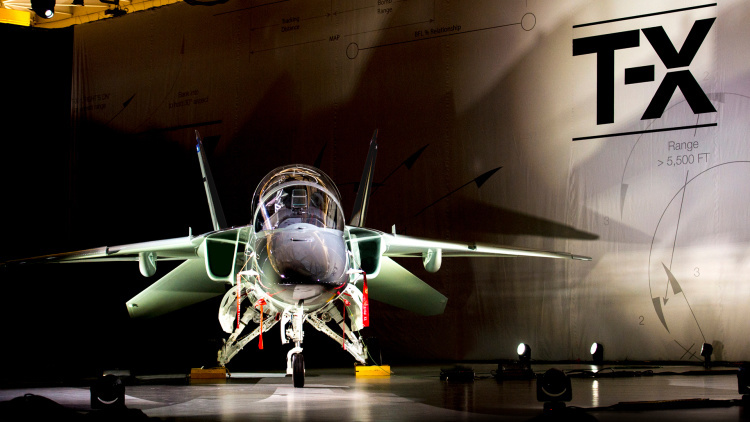 The carrier announced its intention to operate the flights earlier this year, but received the needed regulatory approval in Mid September. The Beijing service becomes Las Vegas’ second regularly scheduled route to Asia. Korean Air also flies from Las Vegas to Seoul. For Hainan Air, Las Vegas continues a recent growth spurt for the carrier in the United States. 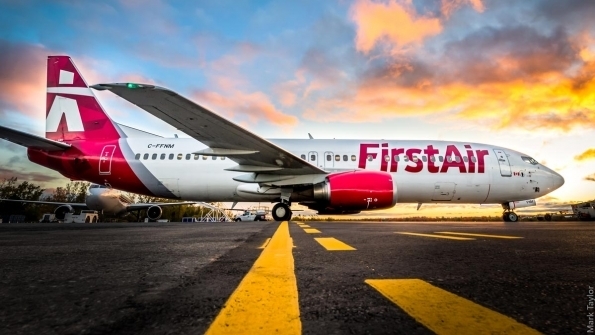 The airline also has launched new routes from cities like Boston, Seattle and San Jose, California, the past few years. Rockwell Collins will supply touchscreen flight displays for the Boeing 777X cockpit, ushering the technology into scheduled commercial aviation when the 777-9 enters service in 2020. Boeing announced in July that the re-engines and re-winged 777x family would be the first airliner to feature touchscreen displays for the pilots. The move follows the introduction of touchscreen displays in general aviation and business jet cockpits, including in Gulfstream’s new G500 and G600 aircraft. The 777x cockpit will share a similar lay-out to the 787 family with five displays, but the former will include multi-touch format screens, allowing both pilots to touch the same screen simultaneously. Cairo-based Egyptair has inked a deal to purchase eight new Boeing 737NGs, with the first delivery expected in February 2017, according to Egyptair statement. The aircraft will be financed by Dubai Aerospace Enterprise. Egyptair Chairman and CEO Safwat Musallam said, “the deal will provide us the competitive edge to achieve our growth targets and help us strengthen our presence in a wider region”. 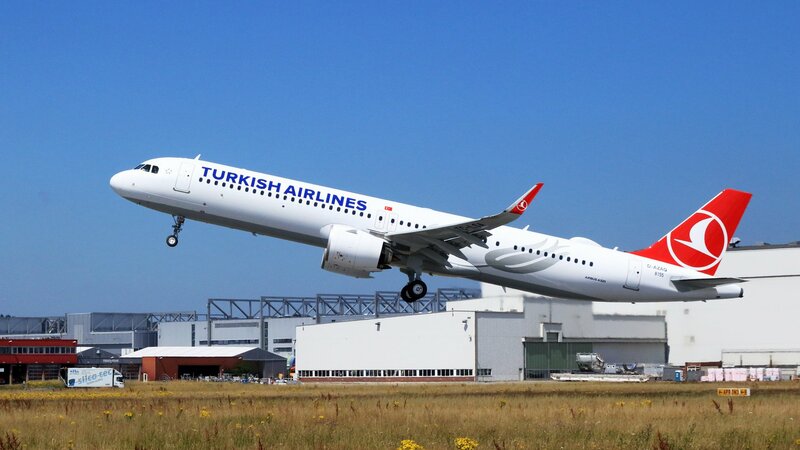 Egyptair currently operates 20 Boeing Next Generation 737s and the 8 new aircraft will comprise the largest single-aisle aircraft type in its fleet. The airline also has six 777-300ERs and two 777-200ERs. 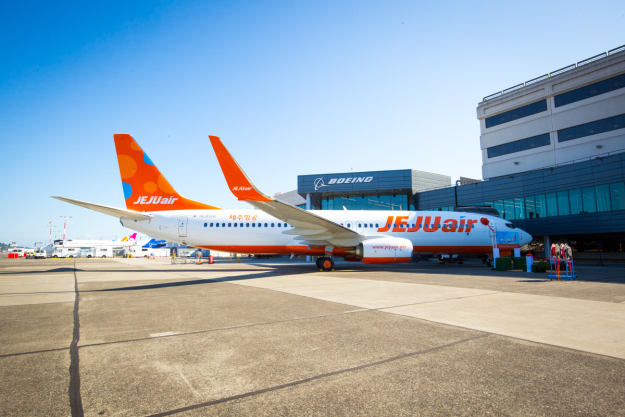 Jeju Air, South Korean budget carrier, has announced its intention to order three new 737-800s, in a deal which it says is worth $287 million. 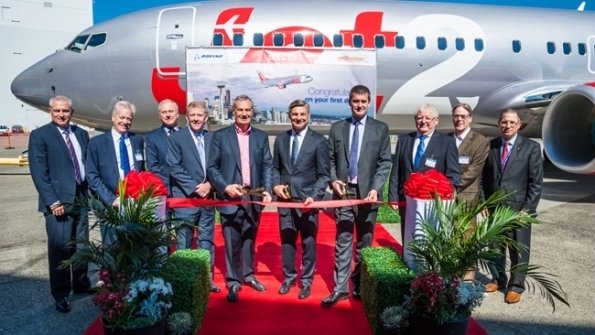 Jet2, the UK leisure carrier, receives first of the 30 Boeing 737-800s. 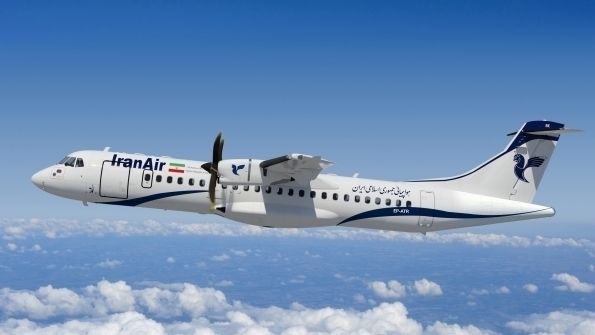 The aircraft were ordered in two batches, comprising an order for 27 737-800s that was finalized in September 2015 and further three were ordered in December 2015. 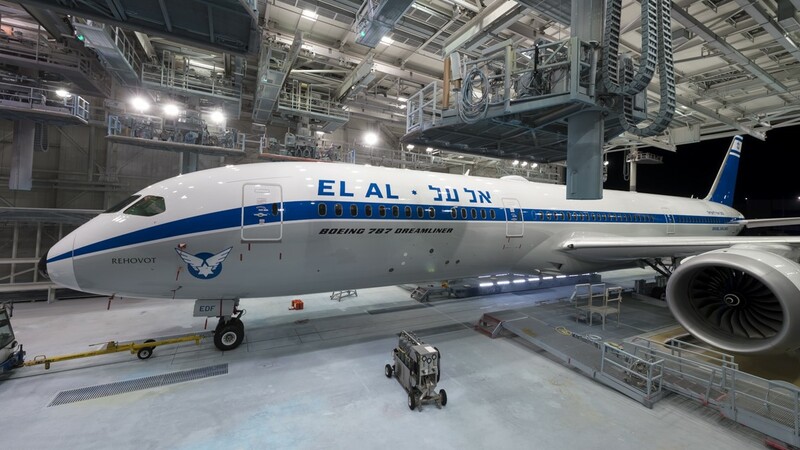 El Al the Israeli flag carrier has agreed to take another Boeing 787-9 from an undisclosed lessor; taking to 16 the number of Dreamliners it plans to operate starting next year. 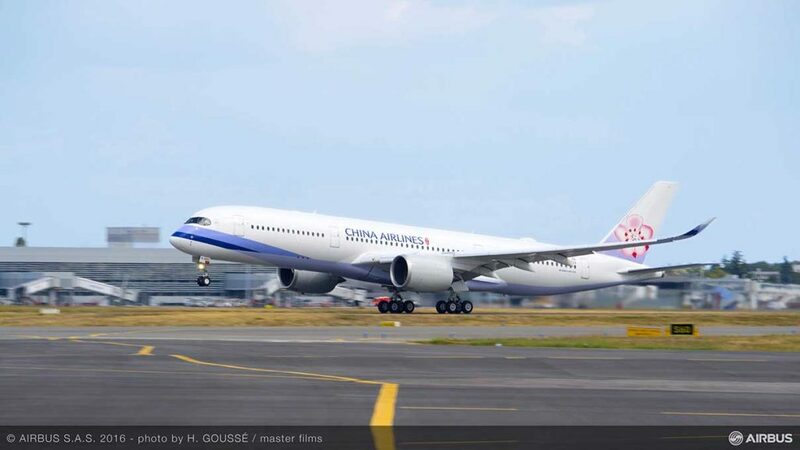 China Airlines has taken delivery of its first A350-900 XWB, becoming the 9th airline to operate the type. Sichuan Airlines has signed an agreement to lease three A350-900s from AerCap and one from Air Lease Corp.
Boeing is set to roll the 500th 787 Dreamliner. The 500th 787-9 Dreamliner has begun final assembly on September 26th, which is scheduled to be delivered to Air France on November 28, 2016. LATAM receives first A350-900 XWB under AerCap leaseback arrangement. Monarch Airlines is set to buy 15 new Boeing 737s after a major investment from shareholders. The extra 15 aircraft, added to the 30 it already ordered in 2014, would put the airline on a secure footing for the foreseeable future. The Commercial Aircraft Corp of China (COMAC) delivered the second ARJ21-700 to Chengdu Airlines. 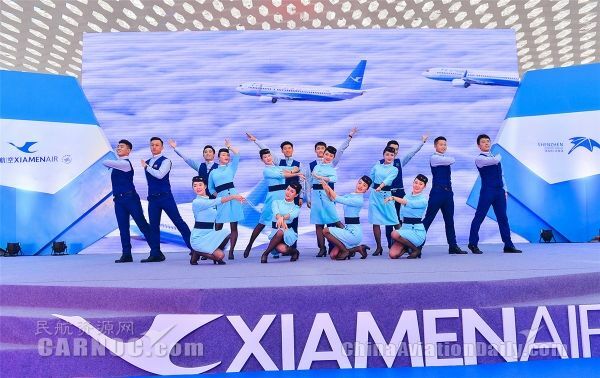 Xiamen Airlines launched its service from Shenzhen to Seattle on September 26th. 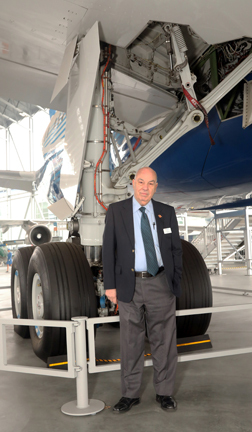 The service will be operated with Boeing 787 Dreamliner, with three flights per week, on Mondays, Wednesdays and Fridays. It was not really an earth-shaking surprise, given the Luxembourg-based carrier has already taken delivery of thirteen of the type. But this one, number 14, is the last Cargolux had on order, and was delivered ahead of schedule. 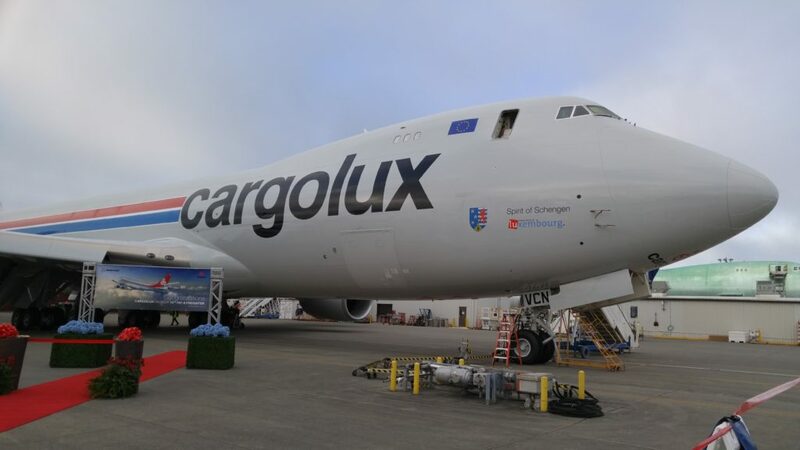 Cargolux, for its part, had originally intended to take delivery of the aircraft in 2017, but in August of this year, made a decision to bring forward the delivery date. Cargo traffic has picked up recently, reassuring the carrier that now would be sensible time to add an additional aircraft to its permanent fleet. Shedding a bit of light on recent traffic developments in North America, Pier Curci, Cargolux’s VP the Americas, noted strong transpacific demand – especially from the Hong Kong gateway. Returning from the delivery, the evening of September 30th when LX-VCN took off from Seattle, it immediately entered revenue service. During its return to Luxembourg, Cargolux spared no time testing the features of its shiny new 747-8F. It was widely circulated that the aircraft would carry an aircraft engine on its maiden voyage. Boeing and Saab finally took the wraps off a purposefully designed jet trainer on September 13th to replace initially the US Air Force’s fleet of more than 400 Northrop T-38s. Showing off a design featuring twin, canted tails and a shoulder-mounted anhedral wing, the Boeing/Saab team will compete with a high-powered trainer with a 17,700-thrust GE Aviation F404-GE-402 with full afterburner. “The team’s clean sheet design resembles Saab’s compact Gripen fighter and twin tails allow for more maneuverability at high angle of attack”, Darryl Davis, president of Boeing Phantom Works Defense, told reporters. In its most recent draft request for proposals, the US Air Force called for 25 degree of high angle of attack. While Boeing focused on meeting the USAF’S requirements to keep costs down, their T_X offering allows for future growth potential, Davis says. That growth plan included the afterburner, which was not a USAF requirement, he says.